Recreational travel, including "surfing", is not allowed today for USA citizens and permanent USA residents under current laws. 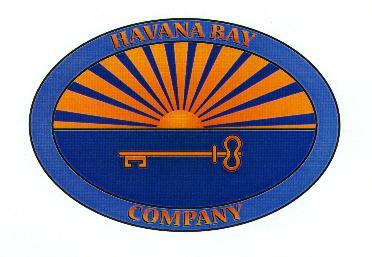 However, we invite you to "surf" this Cuba website for information about Cuba and what legally may be pursued.. The year 2000 Farm Bill signed by President Clinton allows "licensed sales" of food and medicine to Cuba. Agricultural products from Texas have been purchased by Cuba in 2002 for the first time in over 40 years....something not considered "possible" only a short time ago. There are many great possibilities in New Cuba. We hope you explore them with us. We believe Texas can become the bread basket for Cuba. Texas and Cuba share many historical ties. Both regions were initially explored by Spain. During the US Civil War, blockade runners traveled through Habana. During the Spanish American War, Lt. Colonel Theodore Roosevelt stayed in the Menger Hotel in San Antonio to recruit Texans to join the Rough Riders. Texas and Cuba have the same colors in their flags and each flag has only "one star". The USS Texas transported President Calvin Coolidge to Havana in 1928. Largemouth bass from Texas were introduced into the lakes and rivers of Cuba in 1928. The boat which Fidel Castro used to cruise from Mexico to Oriente, Cuba was purchased in Mexico from a Texan. Lee Clark, M.D. from Houston helped start the biotechnology industry in Cuba when he visited Havana in the early 1980s and discussed interferon.Galveston has served as the port from which recent rice sales to Cuba have originated in 2002. Once the Embargo is lifted, non-stop flights from Houston, San Antonio, and Dallas to Havana are certain to commence. TexasCuba.com is an information resource for Texans to learn more about Cuba within the confines of current USA laws, rules and regulations regarding Cuba.